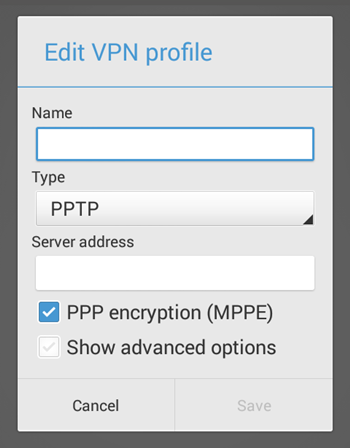 Android has a built in support for PPTP/L2TP/IPSec VPN. Most of us might have never noticed this feature in our android phones. 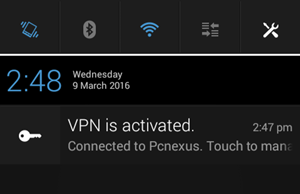 But it is an extremely useful and the easiest way to setup VPN on android smartphone. For this you don't have to download any app. You just need the VPN server address, user name and password. You can use a free L2TP VPN server but I will not recommend these free services as they are not secure enough. You should buy a VPN server service from ExpressVPN, you buy their service for one device and it works on all your devices like router, PS4, XBOX, MAC, Windows, DNS etc. You can read ExpressVPN for android review. A VPN is an encrypted tunnel between your computer/phone and the VPN server. All the information you send/receive will go through this 256-bit encrypted tunnel so that nobody can see your IP address or location. You can also use this service to watch Geo locked content on YouTube, NetFlix or Hulu. If you are using a free VPN PPTP/L2TP then use it at your own risk. Search VPNGate in Google and you will see all the required tutorial for free stuff. I personally recommend ExpressVPN, after purchasing they will send you list of all services including the PPTP/L2TP settings via email. Grab the L2TP/PPTP settings from the email. Now go to 'Settings>Wireless & networks>VPN'. 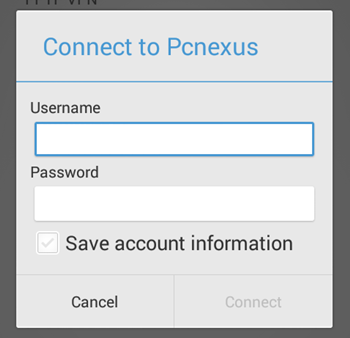 Tap the '+' button and enter 'Name' and 'Server address'. Then tap 'Save'. The profile will be created. Now tap this this profile and enter user 'Username' and 'Password'. Check 'Save account information' so that you don't need to login again and again. Finally tap 'Connect'. When its connected a notification will appear in the notification panel with a 'Key' icon. To disconnect tap the 'Key' in notification panel then tap 'Disconnect'. If you liked the article then take 2 minutes to share it.